War poet, late poet. 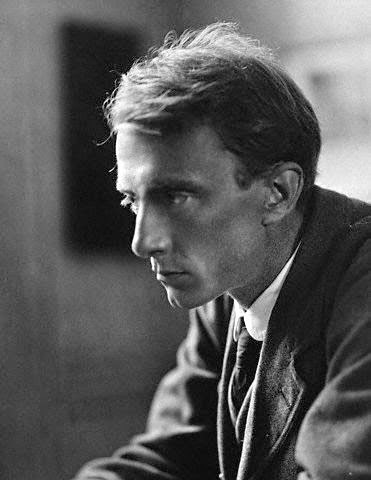 The meeting with poetry for the Welsh poet Edward Thomas happens only in 1914, three years before his death in action, during the Battle of Arras on the 9th of April. The poem we propose today is a good example, a helpful start if we think of approaching the problem of patriotism before, during and even after the First World War. It seems Thomas wrote This is no case of petty Right or Wrong after a blazing altercation with his father, a person showing a strong yet common disdain of Germans. What is interesting today in these lines is the (modern) patriotism they are inspired by, without resembling a patriotic poem like many others we know. It seams there is a second new way of being patriotic without following the guidelines of politicians and newspapers. It is a new, personal, sincere patriotism far from populism. In our opinion this poem can be considered as a third way differentiated from intervention and neutrality in World War One (up to a point, we think there might some points of contact between this position and the one of Renato Serra). Before leaving you to this poem, we would like only to point out the remarkable metaphor of England as the phoenix.